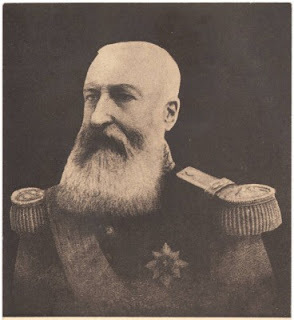 In 1885, on condition that the inhabitants were to be brought into the modern world and that all nations be allowed to trade freely with it, Leopold was effectively appointed the patriarch and benefactor of the Congo Free State by the world’s most powerful nations. However, he soon closed all borders, took personal control of all business, and turned the country into a slave labor camp brutally administered by his thugs. He secretly channeled the huge gains from the Congo (for eight years in the 1890’s the Congo was the world’s largest supplier of rubber) through several trading companies which were wholly owned on his behalf by a private holding company. Much of the ill-gotten gains were used to finance the construction of major public buildings in Belgium, which were eventually settled into a Will Trust for the ultimate benefit of the people of Belgium. By 1907, when King Leopold was forced to relinquish control to the government of Belgium, the population of the Congo had halved from an estimated 20 million to ten million. Amount laundered: Pretty well the whole GNP of what is now the Democratic Republic of Congo for 22 years. Punishment: The Belgian Government bought Leopold’s rights ‘in gratitude’ to the Congo for about US$5 million.